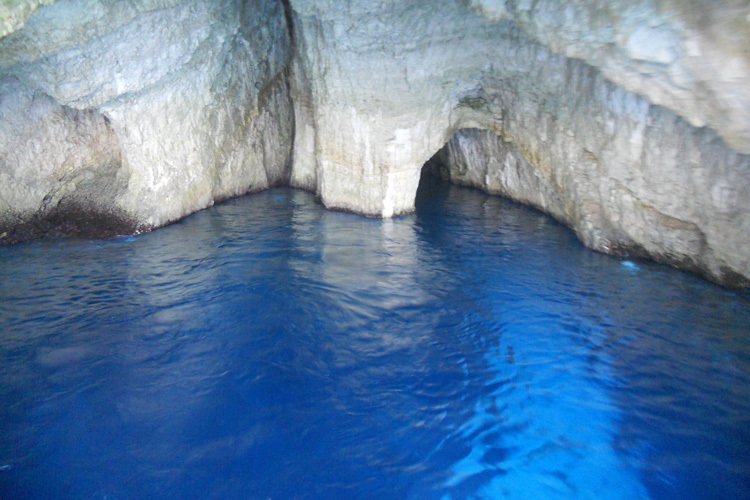 Their name is due to the particular reflections of the water in the caves and you can visit many of them with a small- medium boat whereas the others are to be visited only by expert swimmers and divers. 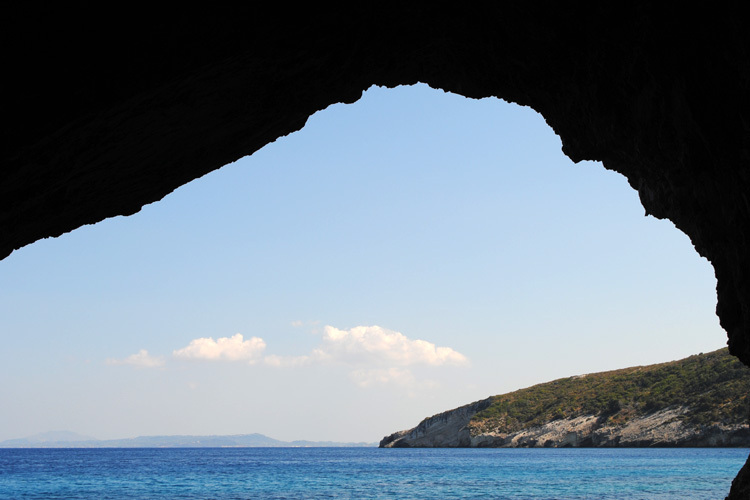 Between Agios Nikolaos and Skinari Cape it is possible to reach by car a small mill and from there coming down a hundred steps, to reach the piece of coast where the caves are. 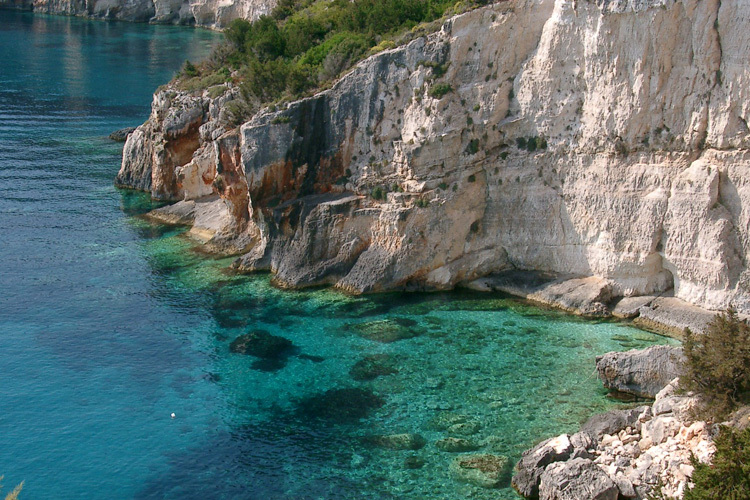 At the bottom of the steps there are some polish rocks, not very comfortable to lie down to sunbathe, that are a good base to start visiting the caves by swimming and to dive. 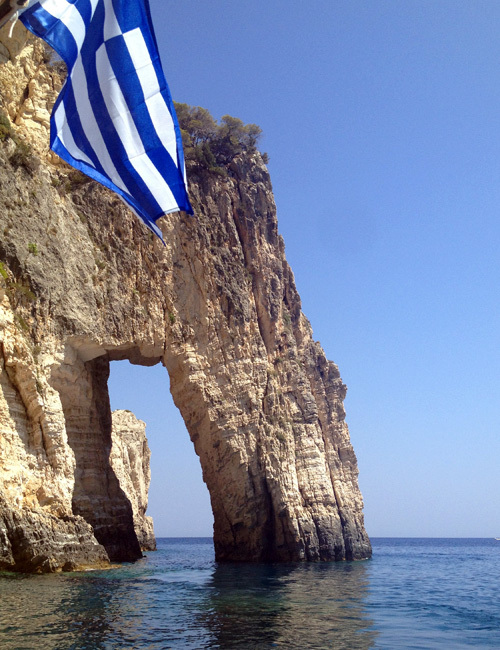 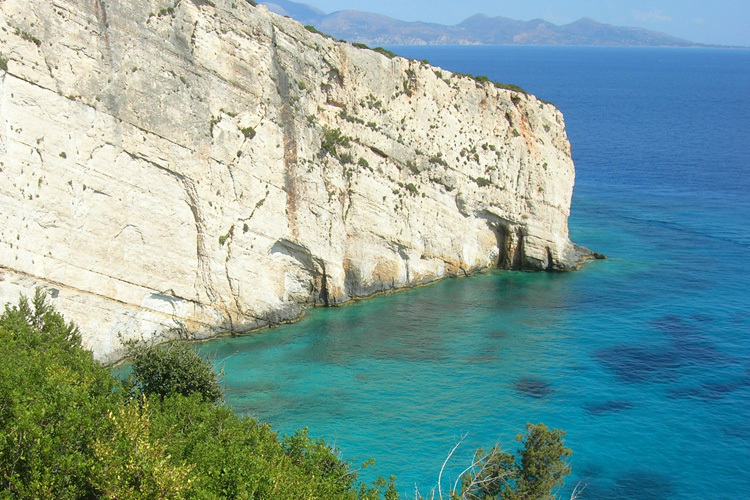 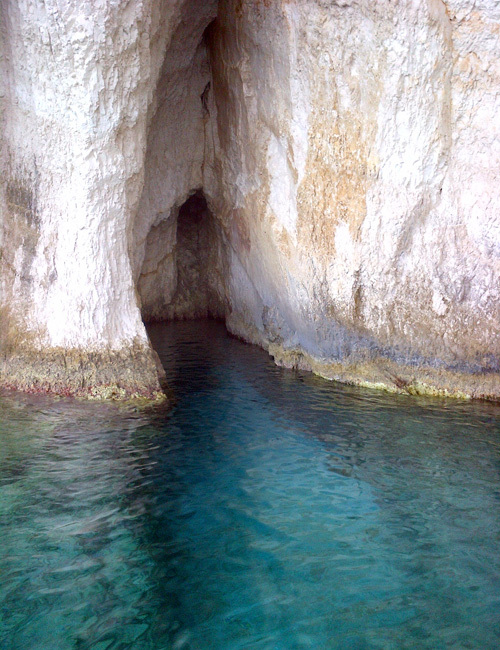 The boat tours to visit the Blue Caves start from Makris Gialos beach, Agios Nikolaos port and Cape Skinari.